A Chinese environmental group has won a landmark public interest lawsuit against a glass manufacturer, with the firm fined more than $3 million for excessive pollution, a court said. The Jinghua Group Zhenhua Decoration Glass Limited Company, based in Dezhou in the eastern province of Shandong, was ordered to pay nearly 22 million yuan ($3.3 million) for its surplus emission of pollutants and told to make a public apology, the city's Intermediate People's Court said on a verified social media account. The suit, filed by the government-affiliated All-China Environment Federation (ACEF) in March of last year, was the first of its kind since a new Chinese environmental protection law came into force at the start of 2015, making it easier for unofficial groups to mount legal actions on public interest grounds. The glass producer had emitted hundreds more tonnes of sulphur dioxide, nitrogen oxide and smoke dust than the maximums stipulated by regulations, the court said in its ruling, issued Wednesday. China's ruling Communist party has tried to cut pollution through the courts, but efforts have been hampered by corruption and low levels of fines. Air pollution saw a modest improvement in the second quarter, with air quality improving in most cities year-on-year, the environmental campaign group Greenpeace said Wednesday in a report, citing data collated from China's environmental protection ministry. 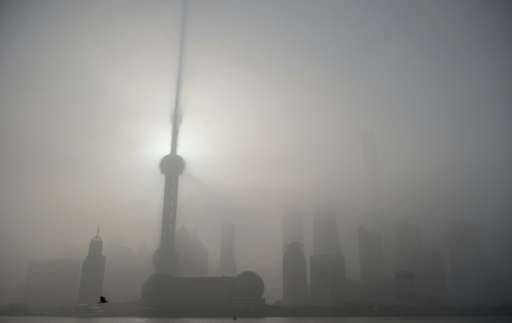 Even so, levels of PM2.5—the smallest, most dangerous particulates—were above the Chinese government limit of 35 micrograms per cubic metre in nearly three quarters of the 359 cities for which figures were available during the first six months of this year, Greenpeace said. The World Health Organization has lower recommended maximums, of a 25 microgram average over 24 hours and 10 micrograms over a year. The Chinese government has declared a "war on pollution", but critics say efforts have fallen short of expectations.